I have over seven years of client services and transaction management experience producing tangible results for clients. I support the coordination and management of occupier advisory services, working closely with key Colliers International advisors and the client throughout every stage of the process. My winning attitude, creative approach and a strong appreciation for excellence assists clients in making smart decisions. I am a transaction management specialist with a reputation of a service-centric approach which consistently produces a winning client experience with tangible results. Throughout my career I have been recognized as an occupier advisory specialist working primarily with Charles Fertitta and Jay Kyle. My teams consistently rank in the top 5% of all Colliers International advisors worldwide. 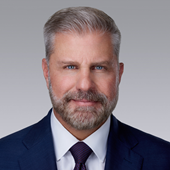 Mr. Fertitta represents clients with primary focus in occupier advisory and corporate services encompassing leasing, sales, and structured finance. Charles has over twenty years of experience in the office & industrial sector and represents clients with a local presence as well as clients nationally and internationally. He is recognized as a tenant representation specialist, offering result driven solutions for users of office and industrial real estate, providing a single end-to-end representation resource for new locations, multi-locations, extensions, expansions, and consulting. Jay specializes in the areas of tenant representation of office, flex and light industrial transactions, successfully representing an extensive client base in lease transactions, build to suit, building acquisitions and dispositions. 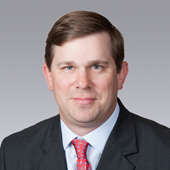 As a Principal and Director of Colliers International in Houston, Texas, Jay brings over twenty years of experience in office tenant representation. His skills include direct marketing, finance, investments and transaction negotiation while always bringing measurable value to clients. Having consistently been a top producer at Colliers, he earned his SIOR designation in 2009, the SIOR designation is a professional symbol of the highest level of knowledge, production and ethics. Only 2,800 commercial brokers worldwide have earned this designation and less than 1,000 are office specialists. In 2011, 2012, 2013, 2014, 2015, 2016, 2017 and 2018 Jay received the Colliers Everest Award. This award, created in 2011, is bestowed upon the top 10% of all Colliers International brokers in the U.S., Canada & Latin America and recognizes top producers in each market based on production. Ms. O’Donnell represents occupiers of office and industrial real estate. 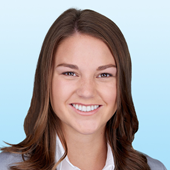 A negotiation specialist, she has a primary focus on lease acquisition, extensions, restructures, dispositions, as well as the purchase and sale of real property. Bi-lingual in English and Spanish, she brings a dynamic communication approach locally, nationally and internationally, which increases clarity in client interaction, the negotiation process, as well as the compression of client time lines. As a member of a team that operates in the top 5% of Colliers International globally, McKenna applies a process driven decision matrix approach to secure results and assist clients in making smart decisions.